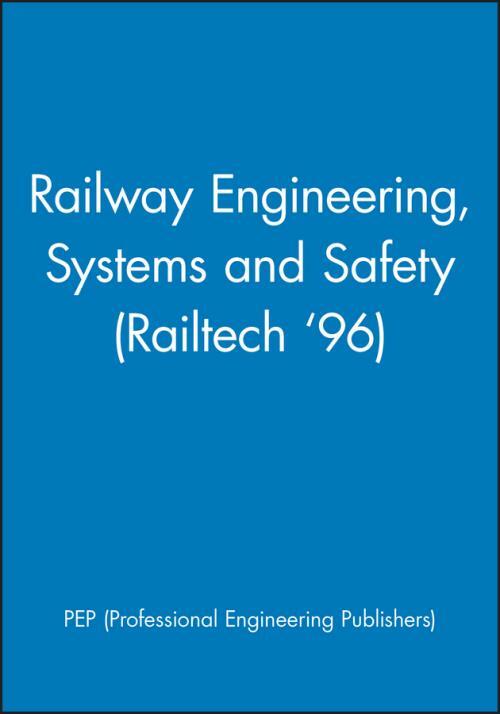 This volume contains a selection of papers from the "Railtech 1996" event dealing with railway engineering, systems and safety. The topics covered include platform edge doors, factors influencing derailment risk and automatic train protection and the operational railway. Platform edge doors – a first for London Underground. Selection of central door locking system for InterCity coaches. Improving passenger safety at plaforms. Risk assessment for Class 373 Eurostar trains on 750V dc and 25KV ac infrastructure in the UK. Building your railway safety case – feedback from the front line. A survey of train to track CCTV transmission systems. Automatic train protection and the operational railway. Modernizing London Underground′s Central Line train service. Material management and after sales support. Combating graffiti on rail vehicles. The value management culture – ensuring that re–engineered products give maximum value for money. Technical characteristics of the European RoadRailer system.